This retreat is for the courageous. It is for those who are ready to take personal responsibility for what shows up in their lives. It is for those who are ready to be an active participant in their own process. It is for those who wish to step beyond the matrix of fear and into the matrix of love. 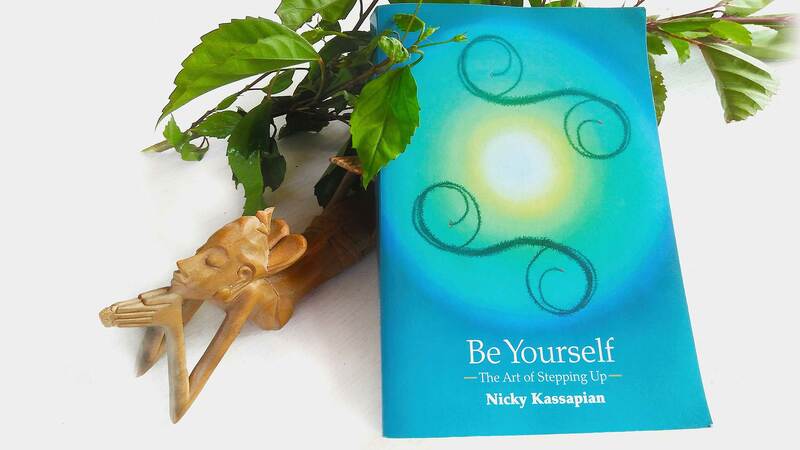 Be Yourself -The Art of Stepping Up- takes you on a journey into yourself. As we move from the external world of social responsibilities, duties and interactions towards the internal world of definition, perception and creation, we begin to see how we are creating what we are experiencing as ourselves and our lives. This places us in the optimum position to transform. You will be compassionately supported in this and personally guided through the practices, techniques and processes, as shared in the book Be Yourself. It is in this retreat that the book comes to life. The retreat is a deep dive and a facilitated process of Be Yourself, as well as, other input. As you experience and embody it internally, you emerge regenerated and transformed. Moving from ego to essence, you become a catalyst for effecting change in the world to which you return. The key is navigating our spiral of life from the surface to the very depths of our being. The spiral symbolises the source from which all things come and to which all things go, for rebirth and regeneration. This is a journey to a place beyond the visible world and who and what you think you are. The focus of the retreat is you and your desire to transform, to step up and be as authentically yourself as you can confidently be. Curiosity is a very helpful characteristic to bring with you. This calls for your commitment to an ongoing journey in being and becoming all that you wish to be. This is the key to sustainable transformation and authenticity. The aim of the retreat is for you to come to a place of greater stillness and to be a catalyst for transformation in the world, by being the truth of who you are – more authentically, sustainably and fearlessly yourself. This requires a desire to transform and a willingness to step beyond your current view of yourself and your life. To draw upon your innate strength and courage as a being on the planet, to experience the vulnerability and uncertainty of sitting in the unknown, allowing your natural curiosity, perseverance and a great sense of humour, to bring you home to yourself. This, in turn calls for faith and trust, so that you can surrender to the current, as completely as possible, becoming like a leaf in a stream. Trusting fully in the wisdom of the current, allowing it to take you to where ever you are taken, trusting it is exactly where you need to go and where you are meant to be. Explore where there is confusion and utilise techniques to become more aware about who you are, gaining clarity and vitality. Reclaim vital fragments of yourself, growing in presence and strength. Liberate yourself from self deceptions, self sabotaging patterns and behaviour. Develop a daily practice, meditation, mindfulness and grounding. Drop out of the head and fall into the heart, aligning with your inner knowing and bigger dreams and create a map to bring them in. Find out more about Nicky…. Contact me if you would like to know more about the retreat.